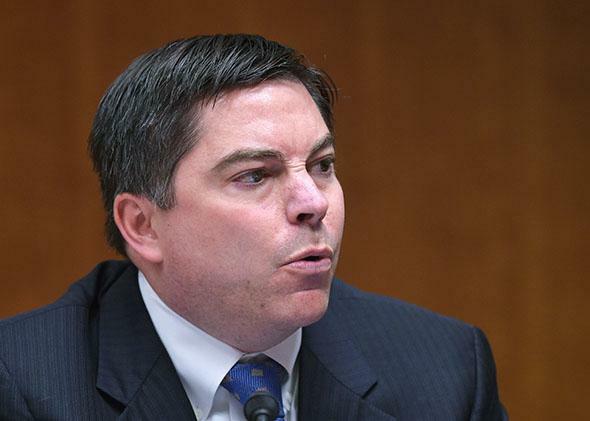 Internet not a right according to Michael O'Rielly, a Republican FCC Commissioner. Commissioner Michael O’Rielly at an FCC hearing on Feb. 26, 2015 in Washington, D.C. The FCC’s regulations preserving net neutrality took effect a couple of weeks ago, and the commission voted last week to extend phone subsidies for low-income Americans to broadband as well. But at least one member of the five-person group doesn’t view Internet as something Americans need fair and equal access to every day. It is important to note that Internet access is not a necessity in the day-to-day lives of Americans and doesn’t even come close to the threshold to be considered a basic human right. … People do a disservice by overstating its relevancy or stature in people’s lives. People can and do live without Internet access, and many lead very successful lives. Not surprisingly, O’Rielly voted against the FCC’s net neutrality protections and the proposal to expand telephone subsidies to broadband. But he wants you to know that he’s not a technophobe. “I am neither afraid nor ashamed to admit that technology has been one of the greatest loves of my life, besides my wife,” he said in the speech. Still he maintained that, “It is even more ludicrous to compare Internet access to a basic human right. In fact, it is quite demeaning to do so in my opinion.” In 2014, Internet inventor Tim Berners-Lee famously declared Web access a basic human right. But O’Rielly believes that true human rights are more elemental, like food, shelter, and water. A Pew Study about Americans’ Internet access from 2000 to 2015, published Friday, shows that overall adoption among adults is at 84 percent for the third year in a row. The number is partly skewed by adults 65 and older, only 58 percent of whom regularly use the Internet. But the study shows that education is also a determinant of Internet engagement. Only 66 percent of adults who did not graduate from high school use the Internet, compared with 95 percent who graduated from college. Income and race are also factors. The study seems to indicate that virtually everyone with the means and other societal privileges to access the Internet does so. And for years now, the opportunities and tools to facilitate economic mobility have been almost exclusively online. For example, in the wake of the 2008 financial crisis, local papers across the country reported that unemployed people who didn’t have Internet access were at an enormous disadvantage in the job market. And over the last seven years, the divide has only increased.